Last month I had the honor of participating in a talent management project. The goal of the project is to create a more collaborative detailing process, where Sailors are provided more information and input about the jobs they desire while commands can leverage the same platform to build out their teams. While still very much a work in progress, the future outcome is extremely promising, with the end state being a “LinkedIn” style detailing system. A recurring theme during the three-day session, however, was the idea that “we don’t know how to define talent,” let alone manage it. This is one of those statements that most people take at face value, shake their heads in agreement, and move on. As it pertains to the Cryptologic Community, I choose to disagree. The Cryptologic Community has a proud history of talent management, dating back to the first On-the-Roof-Gang class of 1928. Located on the roof of the old Navy Department, this course identified talented candidates and trained them to intercept and analyze foreign communications. 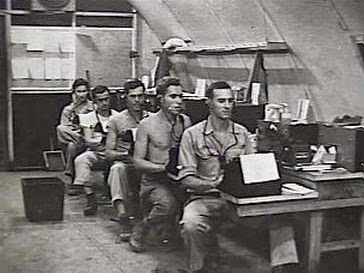 Representing the nucleus of the Cryptologic Community, the graduates of this course directly contributed to the U.S. Navy’s victory at Midway and the defeat of the Japanese in World War II. While the course and facility no longer exist, the “On-the-Roof-Gang Award” continues to honor the very best and brightest Cryptologic Technicians our community has to offer. Today, the Cryptologic Community is more complex than ever. Comprised of three core mission areas (SIGINT, EW, Cyber), five enlisted ratings (CTI, CTR, CTT, CTN and CTM) and three Officer designators (IWO, CWE, CWO), no single course of instruction serves as the nucleus of our community. At the same time, new mission areas like Cyberspace Operations demand a renewed focus on talent management. While you won’t find the phrase “talent management” or the word “talent” in the Cryptologic Community Foundational Principles, it should serve as an appropriate starting point for managing talent in our community. Values are an essential part of a military organization. The Navy’s core values — Honor, Courage, Commitment — provide overarching guidance on how we serve and act as Sailors in the U. S. Navy. Our community’s core values are additive in nature, in this case providing guidance on how we serve and act as members of the Cryptologic Community. More importantly, they indicate what we value as a community — specialization, leadership, critical thinking, and collaboration. This, in turn, relates to what we value in individuals. These four categories, listed in the Cryptologic Community Foundational Principles, serve as a starting point for identifying and managing talent. It isn’t enough, however, to simply list four categories and start there. We must answer some basic questions. How are these categories ranked, if at all? What combination of these values do we need most? Is it acceptable to be strong in just one category and weak in the others? How do you measure critical thinking and collaboration? There are no easy answers here. Then again, talent management is not an easy process. Identifying talent is highly subjective in nature. Similar to art or beauty, “talent” is truly in the eye of the beholder. While one person may identify an individual as talented, another may not. There is no baseline upon which to agree, only subjective observation. Skill, on the other hand, can often be measured and validated. Further, it is typically associated with expertise. Qualification processes and programs measure skill or expertise for an individual. These processes and programs are highly objective in nature, providing a baseline upon which most can agree. A well-rounded portfolio, full of advanced qualifications, in most cases identifies someone as talented. Leadership can also be measured as a skill, given an effective assessment. While current personnel evaluation systems are wholly ineffective in measuring leadership, 360 Degree Assessments provide a much more accurate assessment of an individual’s leadership skills. This process is currently in use at a handful of commands. 360 Degree Assessments are also a part of the CO/XO leadership courses. To be truly effective for talent management, however, 360 Degree Assessments must be in wide use across the community at all leading pay grades. This leaves us with critical thinking and collaboration. An assessment of these areas is bound to be subjective in nature. Regardless, given proper guidelines these values can and should be assessed. Documentation can come in the form of currently available vehicles, such as evaluations and fitness reports. Given proper guidance from community leadership, these assessments will become the norm. 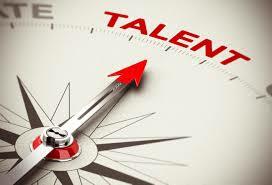 The best way to measure talent, then, is to combine the subjective with the objective. In other words, an objective measure of specialization and leadership coupled with a subjective measure of critical thinking and collaboration. The next step is to put that data to use. Align skill sets with assignments – If we truly want to manage talent we must thoroughly assess specific requirements and align them with appropriate assignments. This assessment will serve as a baseline for personnel distribution and effective talent management. It isn’t enough to simply assign personnel jobs based on NEC or AQD. Only a thorough, community values-based assessment of each assignment, followed by personnel distribution based on those assessments, will enable effective talent management. Provide guidance on evaluation of critical thinking and collaboration – While highly subjective in nature, we must still assess both categories if they are truly considered community values. Vehicles for such assessments include evaluations, fitness reports, mid-term counseling, mentorship sessions, and letters of recommendations. Emphasis from community leadership will ensure these values are considered. Require 360 Degree Assessments – As a community, we should require 360 Degree Assessments. These assessments should be completed for both enlisted (E-5 and above) and Officers (O-3 and above). Assessment should be made available for review prior to consideration for key leadership positions. For Officers, 360 Degree Assessments should be utilized to determine eligibility to command. Encourage specialization – If we truly value specialization, we must allow our community to specialize! Don’t get me wrong. Our core mission areas – SIGINT, Cyber, EW – are closely related, and often overlapping. For this very reason there is value in diversification of assignment. At the same time, if we want to effectively manage talent, diversification cannot be the only answer. Those identified with a specific talent for Cyberspace Operations, or support to Naval Special Warfare, should be allowed to specialize. Who better to serve as an NCU OIC than someone with significant experience in OCO and DCO? Similarly, a Naval Special Warfare milestone assignment practically demands previous assignment in that community. In summary, I think we can define talent and properly manage it, given the right mindset. The Cryptologic Community Foundational Principles should serve as the starting the point. At the same time, the Cryptologic Community can lead the Navy in such efforts as establishing 360 Degree Assessments as the norm.